To skip a long story and cut right to the point, I got Donkey Kong Country Returns the other day because it had good reviews and I liked the first DKC, back on the SNES. It had good controls, good graphics, and fun gameplay (it was the perfect difficulty, too.) Unfortunately, DKCR wasn’t quite as good as the first game, but·Nintendo didn’t get everything wrong. First, the multiplayer was pretty fun. Player 2 controls Diddy Kong and it feels like this game was made specifically for 2 people, kinda like New Super mario Bros Wii. That’s where it falls short. It’s the exact same thing as NSMBW. Instead of making a new way to do multiplayer, Nintendo clearly used the exact same thing they did for NSMBW, like the Add/Drop players feature. Another good point of game was the difficulty. If you aren’t cheating, (I’ll get into that in a bit.) the game is the perfect challenge, hard enough that you won’t be flying through the levels, but easy enough so that you won’t ragequit. The thing is, the game is trying to fight that. Like in NSMBW, if you die like 5 times, some pig comes along as says “super kong” will come finish the level for you if you want. Also, some old man version of DK gives him more balloons when you start the game with under four. The controls, however, were not done very well. On the good side, you hold the wiimote sideways so to cut out the swinging it around and using the not very responsive motion controls. The thing is, DK slides on the ground when you turn around, and holding the jump button for the jet pack just felt wrong. Sometimes (This must have happened to me 30 times during the world 4 boss) when you land on a moving target, you bounce off and fall to your death. Also, you still need to shake the wiimote to do certain things, and those certain things you need to do quite a bit off. The graphics were still looking as good as ever though, and the music in the game sounds great. The map screen looked amazing and the loading times were short. The storyline seemed a bit strange, though. And unfortunately, there were none of the save stations, or Funky Kong’s barrel cannon thing (I think. I haven’t played the original DKC in forever so I forget what funkey kong actually did.) The system of getting more balloons with the gold coins was nice, but kind of useless since a game over doesn’t do anything important. Also, my wii makes incredibly loud noises while reading the disc. 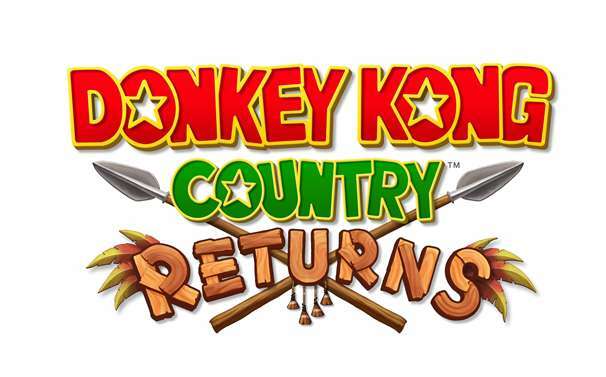 Overall, I give Donkey Kong Country Returns a score of 7 out of 10. It’s a fun game, but issues with bad controls and level skipping held it back from reaching its full potential. Next Next post: Are You Tracking Santa?